Yankee Candle scented jars are perfect for adding a fragrant accent to any room. These colourful, long-burning jars provide hours of aromatic enjoyment. 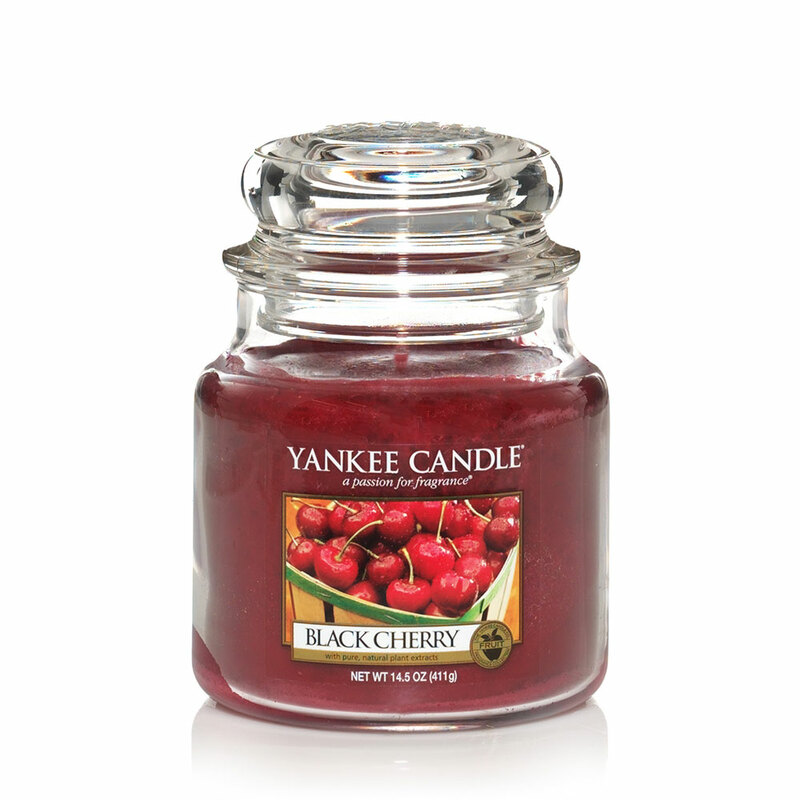 The absolutely delicious sweetness of rich, ripe black cherries..
https://www.bents.co.uk/yankee-candle-black-cherry-medium-jar-cansce016mj 516 Yankee Candle Black Cherry - Medium Jar https://www.bents.co.uk/media/catalog/product/b/l/black-cherry-medium-jar-cansce016mj.jpg 19.99 19.99 GBP OutOfStock /Homeware/Fragrance/Yankee Candle/Yankee Candle Medium Jars /Gifts/Mothers Day /Homeware/Fragrance/Yankee Candle Yankee Candle scented jars are perfect for adding a fragrant accent to any room. These colourful, long-burning jars provide hours of aromatic enjoyment.